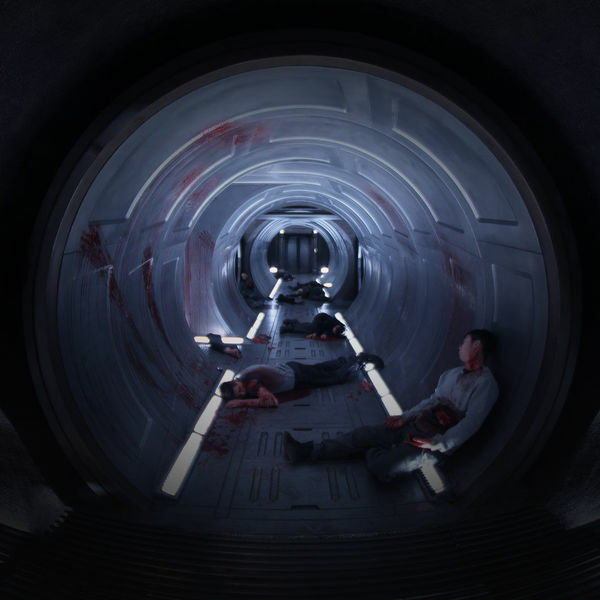 The Expanse is a display of scientific accuracies and political complexities, but we're here to highlight all the random things that you never knew other people thought about too. For example, why did everyone but Bobby enter an extremely dangerous, gunfire-ridden situation without protective headgear (pictured above)? Or why did the Roci have a more fashionable jumpsuit just lying around that happens to fit Chrisjen like a glove? Below are some moments from Episode 6 that made us giggle, cry, and contemplate life (potentially all at the same time)! Tune in for all-new episodes of The Expanse, Wednesdays at 9/8c. 1. A Universe for Ants? We still can't get over this cool AF war room. So glowy, and we want it as a nightlight. Hybrids usually bound after their pray, so this guy getting a little playful made us lol. We hate Errinwright with every fiber of our being, but we've got to admit, he looks pretty awesome strolling out with his security clique wearing black on black (so you know he's bad). Also, telling Sec-Gen Gillis that he's spineless and only fights for himself was pretty dope. 4. I'm not crying you're crying. First, Prax finally reunites with Mei. Then, he states that Amos is his best friend in the whole world. We have never felt so many feels from one scene. Two thoughts in this moment. Firstly, we feel like Chrisjen is highly unqualified to be manning the Roci by herself, especially if the crew on Io needs help. Secondly, the shuttle's synchronized seats always make us chuckle. Strickland is decidedly the slimiest man in the universe. In this episode alone, he convinced Jules-Pierre Mao to use the children as leverage, released a hybrid to attack the Roci crew, shot his coworker, and said creepy things like, "Mei loves me." Hell yes!!!! Strickland couldn't lie himself out of this one. Not only did Amos and his crisply trimmed beard take out our most hated character, but he did so with an epic "I am that guy." Time to celebrate!! So manly labored pauses. So much moving music. Such despair. We're currently tending to our wounds because that speech really cut deep. This chin scratch is so strangely intimate. We never thought they'd be this naked and this close together ever again. Sooo we're pretty pumped. We understand that Amos is watching in horror as a blue jellyfish emerges from Venus, but lol at this child patiently waiting for Amos to pour his milk at the speed of a normal human.